Some of the abuses of the multi-billion naira Ecological Fund have been laid bare by the Auditor-General of the Federation (AGF). About N28.286billion was deducted from the fund in 2016 for activities not related to development of natural resources, Mr. Anthony Ayime has said. Naija News also learnt that the first tranche was N26, 286, 790, 023.51 being 2 per cent deduction from the Federation Account for ecological matters. 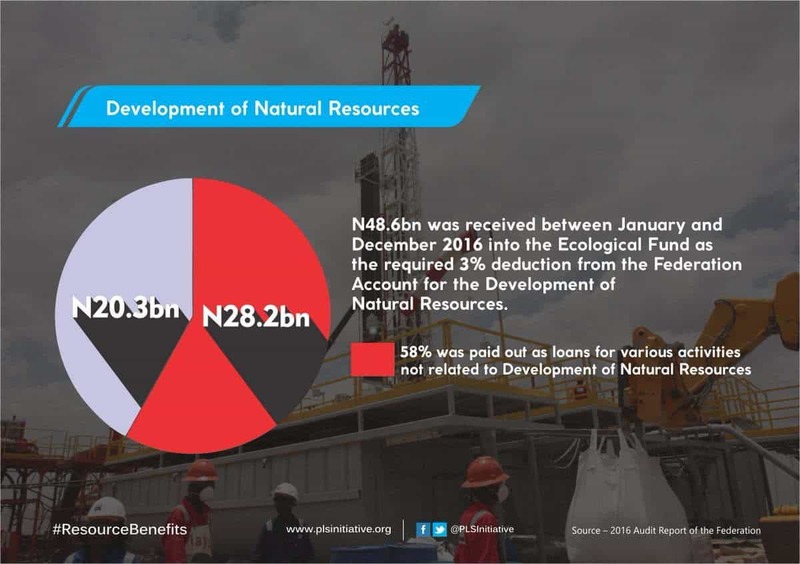 The second remittance of N48,601,928,311.08 was received into the Ecological Fund as the required 3.0% deduction from the Federation Account for the Development of Natural Resources. But the AGF said the N28.286 billion was paid out as a loan to execute unrelated activities. The AGF also indicted the nation’s embassies in Germany, Ireland, the Netherlands and in Britain. The embassy in Germany cannot account for N298.8million. These discoveries were contained in the AGF’s 2016 Audit Report, which has been presented to the National Assembly for consideration. The report said: “The Ecological Fund was set up for the amelioration of general ecological problems in any part of Nigeria. Examination of records presented for audit revealed that the sum of N26,286,790,023.51 was credited to the Ecological Fund as the required 2 per cent deduction from the Federation Account in the year 2016. It was observed that N28,239,060,570.89, representing about 58%, was paid out of the Fund as loan for various activities that are not related to development of natural resources. ”We note that the various withdrawals from Funds by the Federal Government are stated to be borrowings. “We further observed that the arrangements for the repayment of these funds or borrowings are unclear. For example, the 2017 budget did not include any appropriations for the repayment of these borrowings. In its review of the activities of the Department of Petroleum Resources(DPR), the AGF accused oil firms of not paying about $26,262,667.15 royalties. “A detailed explanation was requested for the outstanding Receivables due to DPR as at December, 2016 and ultimately to the Federation Account. “The Director DPR has also been requested to expedite efforts towards the recovery of all outstanding Royalties, and to forward the updated status to this Office for verification,” the report said.